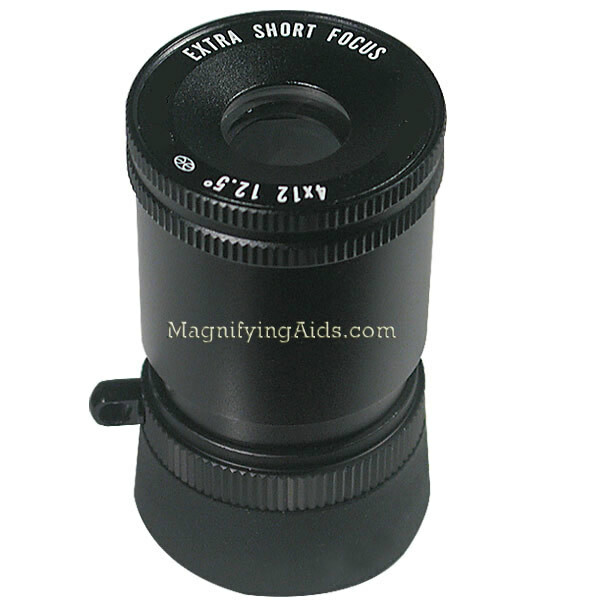 4X magnification, with a 12 millimeter objective lens and average close focus range of 14 inches. Comes with a protective case and strap. Weight: 2.04 oz.